world's most attractive men, a label for which he has received substantial media attention. Moneyball, which garnered a Best Picture nomination. but be fatigued on the last rep. Proper form was maintained throughout. Rice Cakes, which were then tapered off in his last two meals of the day. Shake if his schedule was tight. Dinner: Grilled fish or chicken, brown rice or pasta, vegetables, and salad. 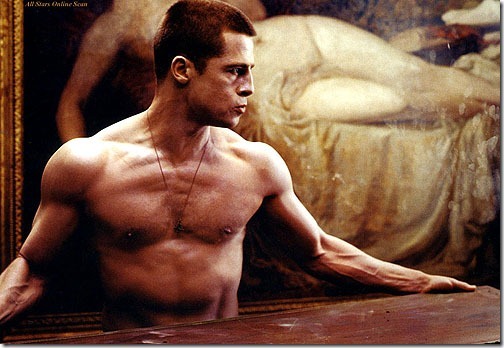 Would you like a Diet & Workout Plan based on Brad's Fight Club Physique? heavy bulking efforts combined with a less strict diet.